The Mega 2019 New Year’s Eve Jackpot is an exclusive Lottoland event featuring an incredible €100m jackpot. The draw takes places on 31st December and gives you the chance to welcome in the new year as a multimillionaire. Why should I bet on Mega 2019 at Lottoland? This one-off event gives you the chance to add some extra excitement to your New Year’s Eve celebrations and see if you can hit that €100m jackpot! With top prize odds that are TWICE as good as the EuroMillions, as well as lucrative cash rewards for hitting the second and third tiers, no wonder it’s such a popular way to see in the new year. How does betting on the Mega 2019 work? When you bet on the Mega 2019, you are betting on the outcome of the Mega Da Virada draw, which takes place in São Paulo Brazil on 31st December. The Mega 2019 has its own prize tier and payout structure, including a guaranteed €100m jackpot. How do I choose a line and place a bet? Pick six numbers ranging from 1 – 60 or select a “QuickPick” (Quick +) that will automatically choose the numbers for you, then click “Submit” to proceed to the cart. If your six numbers match the six numbers drawn in the Mega Da Virada draw on 31st December, you will win our €100m jackpot. A single line costs €5. The top prize for matching 6 numbers for Mega 2019 is €100m. There are additional prizes for matching 4 and 5 numbers. The table below explains the different prize tiers, odds of winning each prize tier and the estimated individual returns for each prize tier for Mega 2019. *This information is provided as a guide only. Where and when does the draw take place? The draw takes place in São Paulo Brazil on December 31st at around 8pm (10pm GMT). 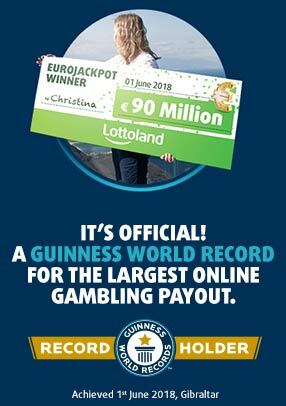 What happens if more than one Lottoland player wins the jackpot? The jackpot prize will be shared equally between all Lottoland players with a winning bet. Please refer to our General Terms & Conditions for more information. If your account has been verified, simply proceed to your account and withdraw your winnings. However, if your account has not been verified, you will first need to provide proof of your ID and proof of address. Once this has been confirmed you will be able to withdraw your winnings.